This was the perfect heartwarming and cozy read for a cold winter’s night. Both the writing style and plot worked incredibly well to produce a lovely story that manifests the struggles in a relationship from several points of view. I particularly enjoyed the first person laid-back narrative switching between Jack and Laurie’s perspectives as this made both their personalities shine with the distinct tone and voice, often sarcastic and light although there were some sombre parts too. Despite the strong emphasis on the love story, my favourite aspect was by far the friendship between Sarah and Laurie and I think that we all need a friend like Sarah to get us through the rough moments in life. 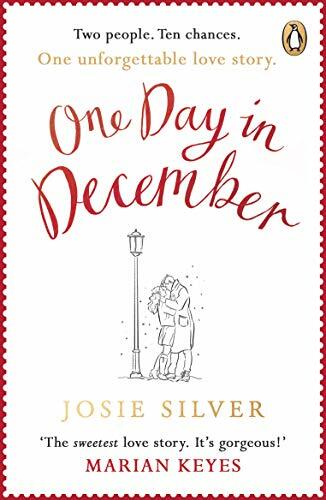 Another interesting feature of this book is the timeline that the story follows; all parts are broken up into years and this makes for a rollercoaster of a ride as we follow Laurie through the hardship of accepting her best friend’s relationship with Jack. The New Year’s resolutions were an appealing characteristic of each section of the book although I often felt that there were too many breaks between the chapters, particularly towards the end where several months were omitted. Overall, I really enjoyed this book as both the characters and plot were engaging and motivating enough to encourage me to read it in only a few sittings. I found the premise of the unrequited love story too predictable at times but was pleasantly surprised to discover that their relationship progressed from friendship to something more without unnecessarily hurting the bond that the girls had developed, as is present in many other romance novels. I can already imagine this book turning into a blockbuster movie that many would love but even without the cinematic element, it is still a beautiful story of a couple who struggle through difficult times before finally finding their way back to each other. Great review! I also see this book becoming a movie. My only problem with the book was the ending which felt a little underwhelming for the angst that we had to go through. Thanks! Yes, I feel like she could have expanded more on that ending and it did feel a bit sudden after reading what they went through all those years!